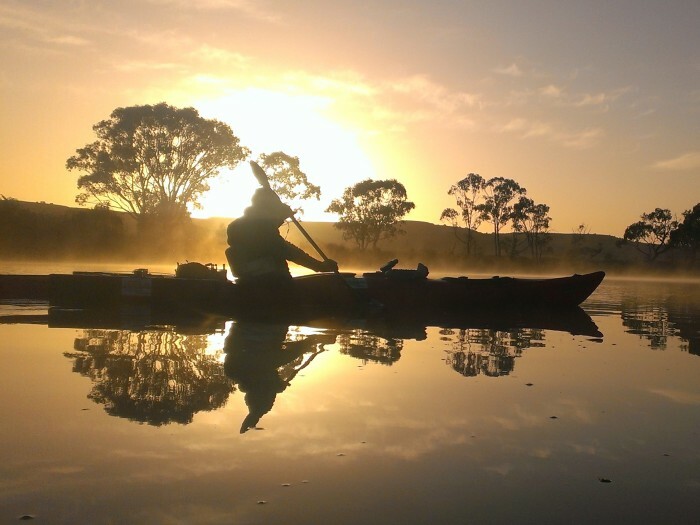 Home > Blog > What did I learn paddling 2,226 km down Australia’s longest river? 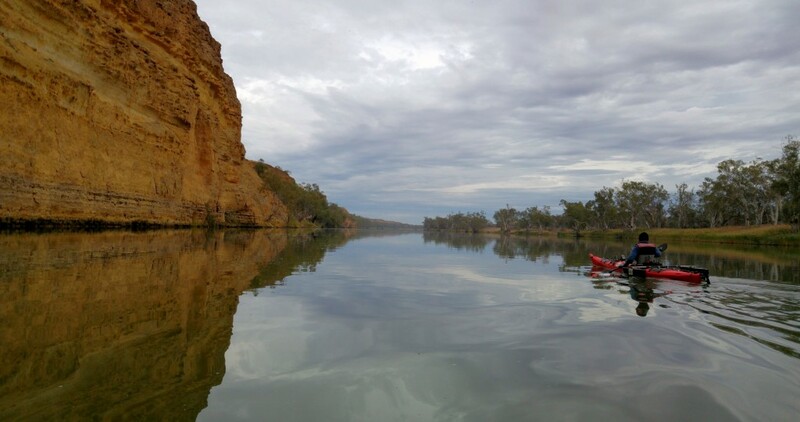 What did I learn paddling 2,226 km down Australia’s longest river? Paddling 2,226 km over 89 gruelling days down the Murray River was a personal adventure to test my physical and mental limits and capabilities. 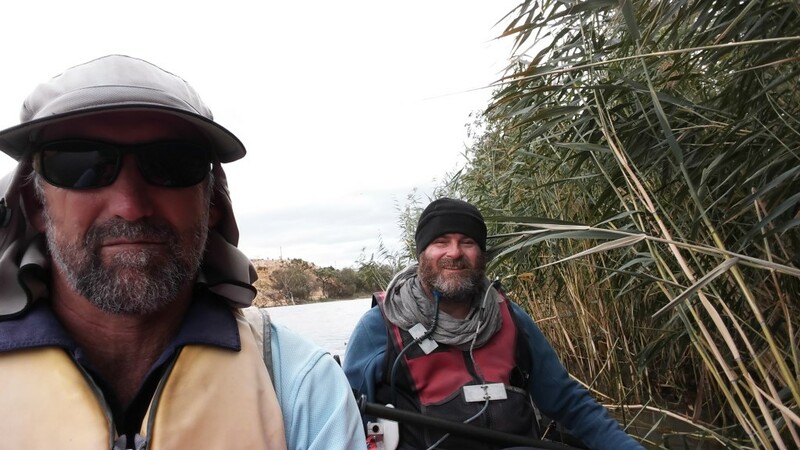 The journey started on 1st March 2016 at Lake Hume near Albury in NSW, paddling down to the Murray Mouth where it enters the sea at Goolwa SA, finishing on 28th May 2016. Initially, I thought of writing about the challenges the team faced on the river: the support boats hitting snags, getting bogged on gravel and sand bars, breaking props, almost sinking our punt and equipment, the land crew getting lost and the near-disaster of running out of ground coffee. I thought also of chatting about the wonderful sights and experiences of the Murray River: the changing landscape from clear water flowing around green high-country hills to the brown upside-down river snaking its way through the dry dusty plains where life is hanging on for grim death, to its merging into vibrant and flourishing wetlands full of diverse wildlife. There were the monolithic sandstone cliffs rising out of the flat landscape like walls of a medieval fortress, with birds and plants thriving in the crevices as it stretches into the never ending distance. 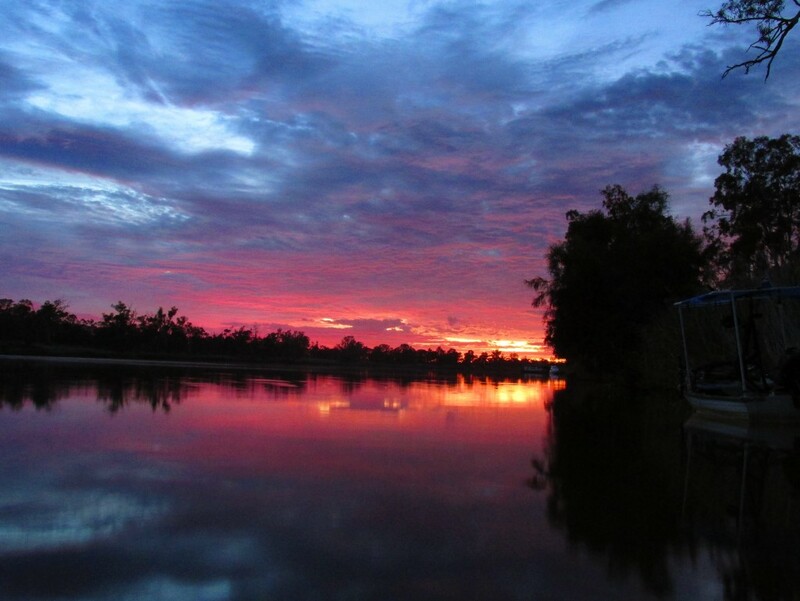 Picture the spectacular sunrises and sunsets of the Mallee, the brilliance of the reds, mauves, oranges and yellows, transforming the sky into a magnificent light show. I could also have written about how privileged I felt to share this adventure with such an amazing group of people as we talked about our experiences around the camp fire at night, or how lucky I felt to live in a world where I had the opportunity to float silently past quizzical kangaroos taking a morning drink, or cockatoos screeching bush songs, in the soft morning light. Firstly, to put things in perspective, I have C5/6 complete quadriplegia, the standard type: no fingers (only wrist extension), not a skerrick of tricep (makes it hard to pick your nose lying in bed), no function from my armpits down and I can’t regulate my body temperature – in the heat I cook, in the cold I freeze, like a reptile. For this expedition, I modified a sea kayak extensively – developing outriggers to stop it rolling over, using a sip/puff system to steer the rudder, and taped my hands to the paddle. From day one, my carefully laid plans went out the window. I felt sick looking at the forecast – high 30’s indefinitely – it actually lasted 17 days. Instead of 2 three-hour sessions, before and after lunch, I could paddle only in the morning until the heat became unbearable. Reaching Mildura the flow had stopped. The river became a 900km long lake to the sea. With no flow to help, my planned daily distance of 30 km over 6 hours of paddling turned into 8 hours at times as we pushed further into the remote wilderness, the land crew often struggling to find us and with the constant fear of getting stuck on mud tracks if it rained. Making it to Renmark was a huge psychological milestone. With just over 500km to go it felt like I could finally see the light at the end of the very long tunnel. This time was the toughest mentally. All I could think about was getting to the end, and we still had a month to go. 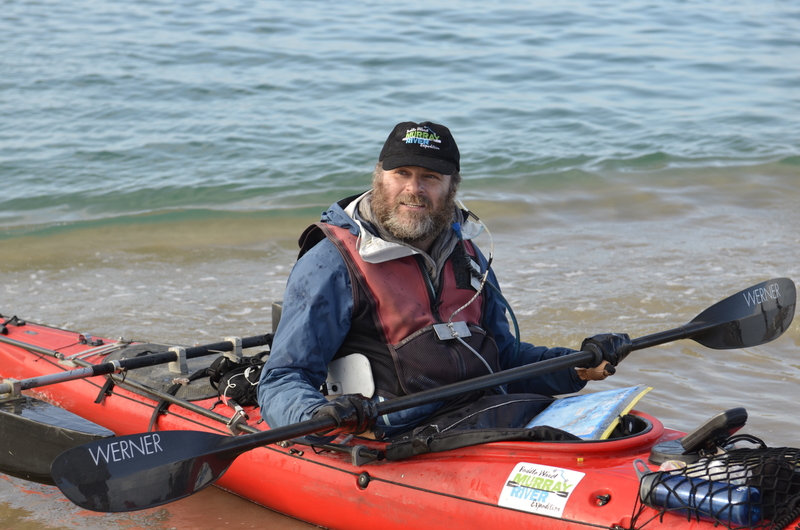 To get through it, I had my constant goals – focus on the bow of my kayak, watch my GPS speed, will my arms to keep going, and try to ignore the constant hyperreflexia sweats from my sore bum and feet and the unique experience of pain with each paddle stroke from an infected blister on my hand, as each kilometre slowly, very slowly, ticked by. The Murray had changed from a narrow snaking river with high banks to long wide sweeping bends, with low banks providing little shelter from winds reaching up to 40km/hr. On one occasion, paddling as hard as I could, I was going backwards at 2 km/hr, the only recourse was for Mike and I to jam ourselves in some reeds and wait for a lull to start paddling again. To make up precious time we pushed ourselves, travelling 13 days straight from Waikerie to Wellington, the last town on the river before the formidable Lake Alexandrina. In the back of my mind I was always thinking about crossing the lake, now it was reality and I was just hoping we had enough time to get across. Most people we spoke to said “Don’t cross it, it’s too risky, stop at Wellington!” After paddling almost 3 months and 2,150 km I wasn’t going to stop 76 km short of the finish. Unable to go straight across in one go like many ‘able-bods’ (I don’t have the speed or bum-endurance), so over five days paddling on and off, held up by crappy cold, wet and windy weather, we finally reached the sea on Day 89. To see the breaking waves at the Murray Mouth was a feeling of excitement and pure relief. It was hard to believe I had actually done it. Losing time with the hellish heat early in the trip, I realized that if I wanted to achieve my goal I had to forget about what I thought my limitations were and push myself as far and hard as I could, no matter what the conditions were or how I felt. Then something remarkable happened the further I went. 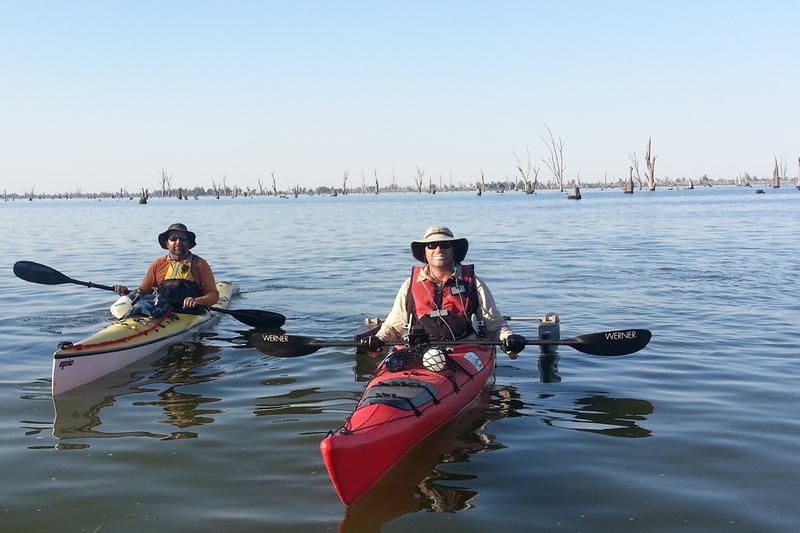 I paddled in 39 degrees on Lake Mulwala and survived. I battled against 40km/hr winds near Morgan in SA and won. Pushing the limiting thoughts of pain and tiredness out of my mind, my body unrelentingly chugged away paddling up to 8 hours a day and enduring 13 days straight. All of my preconceived limitations never really existed – except in my mind. I believe that what limits our potential is ourselves, what we believe we are capable of doing. By keeping an “open mind” to possibilities, being willing to give things a go, to try different solutions, and being willing to push ourselves as far and hard as we possibly can – whether physically, intellectually, or mentally – I believe we can propel ourselves past our own perceived limitations, and achieve far more than we could ever imagine. Thanks Dieter. 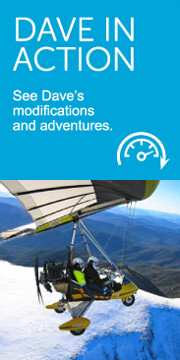 How are your kayaking plans coming along? Thanks Barb. Your too kind. 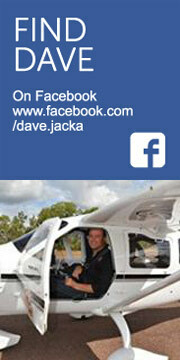 Nice work Dave, so very proud of what you’ve achieved and achieving! Can’t wait for the next instalment. You might also be pleased to know that my students sit in awe when we look at your achievements too! Thanks Michael. I hope your students might get a little inspiration to follow their goals.